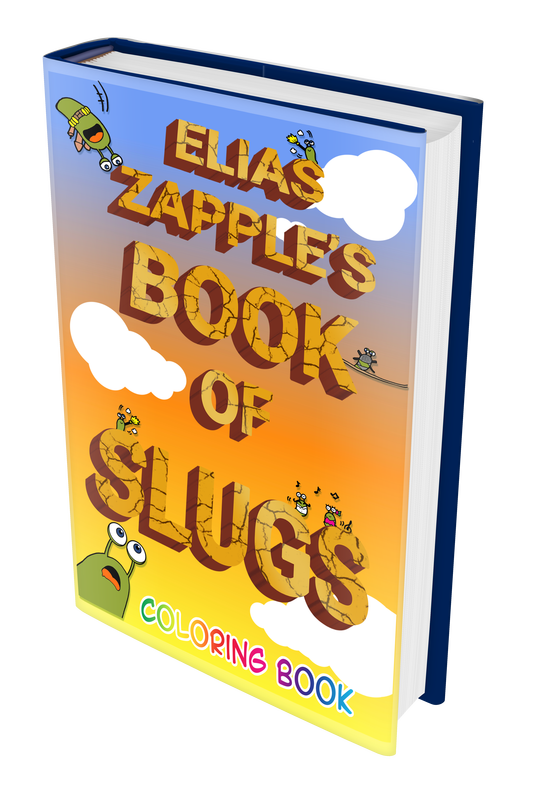 Explore the slug-filled world of Elias Zapple with a super fun colouring extravaganza! Enter Zapple’s cabbage patch and zany home and meet his slugs. There are 34 slugs waiting to meet you and be coloured in, plus an extra 8 pictures for good measure. Express yourself by going under the cabbage leaves with the wildest slugs ever and get colouring!